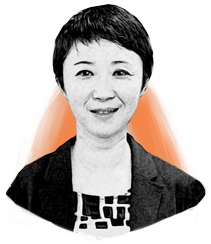 Pharma's Almanac | Ying Cai, Ph.D.
Dr. Cai has over 13 years’ experience in process development, process characterization, process validation and commercial manufacturing. She investigated a diverse array of biologics, ranging from plasmid DNA to monoclonal antibotides and protein conjugates, as well as viral vectors. Dr. Cai received her doctoral degree in chemical engineering from the University of Arkansas, and has post-doctoral experience in virology from Purdue University.